Sorry, no commodities commentary for today. Despite estimates for a drop of 1.5m barrels in the weekly crude oil inventories we had a 3.67m build, the first increase in 5 weeks. The result was a steady slump in WTI prices which ended 81¢ down to $92.83 a barrel. It was not a good day for gold prices after the Federal Reserve raised its interest rates outlook and sent the dollar higher. Non interest paying gold remained under pressure and yesterday lost another $11.1 to $1223.1. Could Scotland vote attract some buying interest? OPEC's secretary general, Abdalla EL-Badri, has said that production quota could fall by 500,000 barrels a day to 29.5m barrels in 2015. Although he added this was an outlook and not yet a decision. The energy complex had a swift reaction and buyers rushed back in, pushing US crude prices $1.91 up to $94.72. China's announcement on new monetary stimulus has sparked fresh demand for gold as an alternative asset. A slightly weaker dollar also helped, Yesterday the precious metal gained $2.6 to $1234.4. 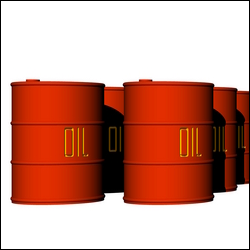 Slumping oil demand due to a slowdown in the European Union and China has continued to put downside pressure on crude prices. US crude oil plunged 89¢ to $92.17. The International Energy Agency has also reduced its previous forecast regarding world oil demand. Early this morning it appears the sell-off in crude is still on. Gold prices dropped $9.6 to $1230.2, a level last seen on 10 January. A stronger dollar and healthy equity markets seem to attract most interest. On top of that, while prospects for economic growth in the US improving, investors are not thinking about inflation and so they are still discarding the metal.